Installing multiple operating systems (OS) on a single computer is a great way to test new software before committing to a program. Less convenient are the methods required, since configuring multi-boot systems is a complex process. 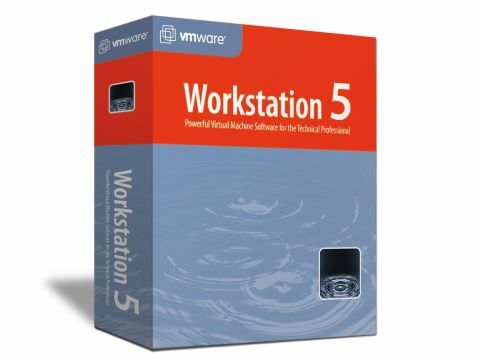 Providing a powerful alternative is VMWare Workstation 5.5. Allowing users to install new software within so-called virtual machines, the effect is of having a laptop inside your laptop. Your primary, or Host, OS behaves as normal and you can then install multiple Guest operating systems inside these virtual machines and boot into them at will using the standard Windows interface. While true multi-boot configurations require intricate drive partitioning, setting up virtual machines is a simple five-click procedure. By choosing from a list which OS you are to install, optimum settings are automatically configured to enable the best performance, with further settings available for advanced users. Once configured, one-click boots your virtual machine inside a window on your desktop. Running exactly like a real PC or laptop, you can then boot from any OS installation disc and install your chosen operating system. With support for all current versions of Windows and many Linux distributions, only Apple's Mac OS X is not officially supported. This is due to international licensing laws. With your OS installed in a virtual machine, you can work with it exactly as if it were your primary installation. The obvious advantage is you can make mistakes or take any risks you like without fear of losing data or trashing your laptop. By simultaneously clicking Ctrl Alt, you can instantly restore focus to your main OS and continue work as normal. Making it even safer to work with the Guest OS, you can create snapshots of each installation, and then revert back to that exact state at will. Multiple snapshots can be created, and viewed in a hierarchical order. Making it easy to run software or test a new feature, before restoring your system in the event of a failure, this aids software testing immeasurably. Since so much modern software relies on network connections, multiple operating systems can be also be run simultaneously and linked in a full virtual network. Obviously the drain on system resources is far greater with several OS's running concurrently, but the feature is an impressive addition. Inevitably, you'll need a powerful system with plenty of memory and storage space for truly effective performance. That said, any mainstream machine, especially dualcore, will be able to cope. However, for testing software and learning a new OS in comfort and safety there are few better options, making VMWare Workstation a fantastic tool for power-users.